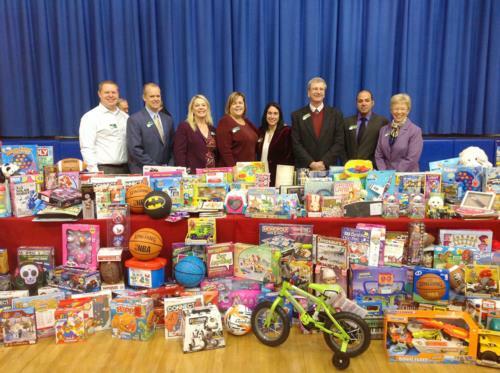 Each year we team up with WSFS Bank to help make the holidays a little brighter for area residents. Stop in at your local WSFS branch in Chester County to donate an unwrapped item (November 9 - December 8) Toy Drive boxes have been beautifully decorated by elementary school students in the West Chester Area School District. The Staff and teachers from St. Agnes School invite you to enjoy a hot breakfast by Arianna's Gourmet Catering! In lieu of payment please bring a toy. During our morning we will present the recipients with their toys!